The feature film adaptation of Stephen King's The Dark Tower has begun principal photography, Sony announced tonight at CinemaCon. 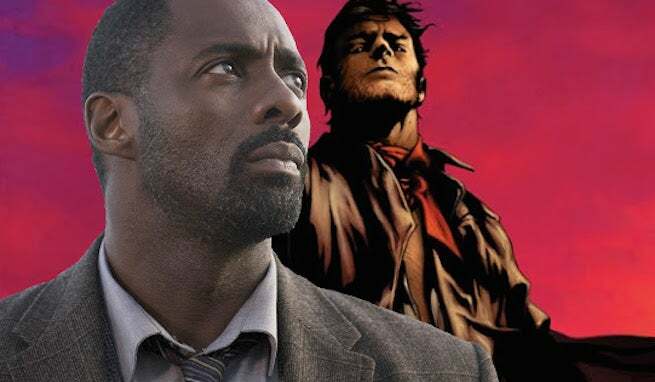 Warner Bros. recently announced that pre-production on The Dark Tower was underway, but their rights lapsed and the project headed to Sony. Idris Elba will play Roland, the Gunslinger, while Matthew McConaughey will play Flagg, the Man in Black. Breaking Bad's Aaron Paul is rumored to be on board as Eddie Dean. The film is eyeing a January 2017 release.